Current swell characterization models are limited by lack of standardized tests. Electrical resistivity measurements provide potentially powerful tool for detection of expansive soil, which is on the rise in the whole world. 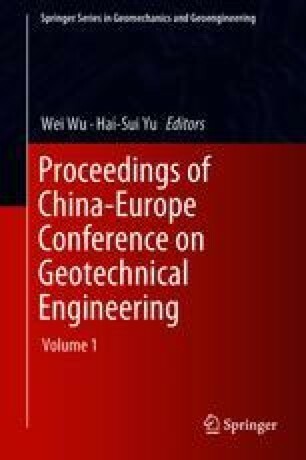 A four-electrode resistivity cone penetrometer (RCPT) test, which are non-destructive, continuous and demonstrates strong correlation with subsurface information of soil properties, was developed to estimate the free swelling of expansive soil layers. The mixtures of kaolinite and bentonite, which were loaded in a calibration chamber, were used to investigate the relationship between electrical resistivity and free swelling rate with varying physical property in this study. The four-electrode resistivity cone penetrometer (RCPT) test performed in calibration chamber shows that there is a decreasing tendency of resistivity with the increase of bentonite fraction by weight (BF). Comparing with the electrical resistivity and the free swelling rate of expansive soils, it is found that, under controlled moisture content, the resistivity of expansive soils decreased with the increase of free swelling rate. Furthermore, increasing moisture content of the mixtures clay led to a reduction in the electrical resistivity of clay, which indicates that altering the moisture content of clay particle changed the current movement within the clay’s interlayer. It shows that the RCPT can be used effectively for estimating the free swelling potential of expansive soil.